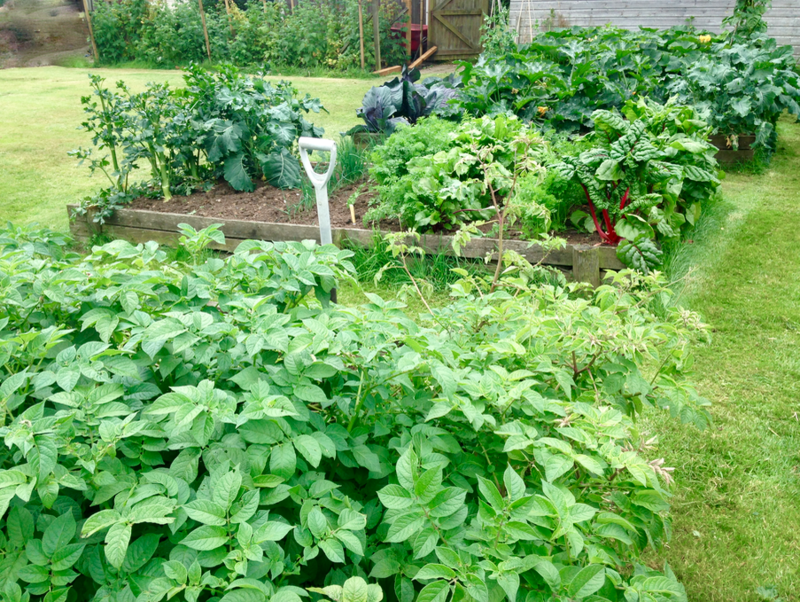 The vegetable patch is bursting with produce, which can be used to barter locally for other goods. Without a doubt we live in one of the most beautiful parts of the world. The autumnal mists in the early mornings of late add more than a touch of picturesque atmosphere to the landscape, as they weave their slivery threads across the heathland and down into the valleys. It’s a fabulous time of year that evokes the old world charm of harvest and gathering. On the holding at home, the vegetable patch is bursting with produce, from flavoursome carrots to impressive sized marrows. Any surplus is generally traded with friends and neighbours for chicken’s or duck’s eggs, trout, wool, home-produced sausages and homemade wine or chutney – depending on what is available. Now is a time of plenty, when a trip to garden can become an al fresco banquet. Even the family of squirrels, who live in the copse at the end of the garden, have given up their daily bird-table predations to feast instead on the bonanza of fallen hazelnuts that litter the ground. The ponies on the Open Forest are looking well too, including the mares that have been suckling foals for the past few months. Their glossy coats and decent covering of flesh is testament to the good availability of grazing that they have been able to access so far this year. It seems that, when it comes to the free-roaming animals, Mother Nature always provides. Living ‘wild’ means that ponies cannot be managed in the same way as domesticated horses and ponies, but they are managed nonetheless and do not need supplementary feeding. However, at this time of year some well-intentioned people, who are perhaps experiencing their own surplus of garden produce, are prone to dumping unwanted fruit or vegetables on the Open Forest for the ponies (and donkeys) to eat. This is a practice that is not only dangerous to the animals, but also contrary to the New Forest Byelaws. Leaving food out for the ponies, and also hand-feeding for that matter, entices the free-roaming animals away from the Open Forest into areas with high volumes of traffic, such as car parks. I’ve seen for myself, ponies squabbling aggressively over a pile of carrots left on a busy roadside verge. They were so intent on ensuring their share of the booty that they were totally oblivious to the traffic whizzing past them. More recently, the New Forest Verderers had to issue a warning about the dangers of feeding the Forest animals, after two buckets of apples were left at Bramshaw Golf Course. This isn’t a treat for the ponies and, however well intentioned, not an act of kindness on the part of the donor; it’s potentially harmful to the animals. Gorging on foodstuffs, such as apples, can cause a fatal colic in ponies, which is an agonising and slow death for the sufferer. Therefore, anyone finding themselves with a glut of apples, or other such garden produce, would be much better off finding a more appropriate (and human) recipient of their largesse. In my experience, such exchanges can lead to a much more beneficial outcome all round; by turning unwanted produce into more useful goods or ingredients, and even stimulating the local bartering economy; while leaving Mother Nature (and the commoners) to care for the animals. 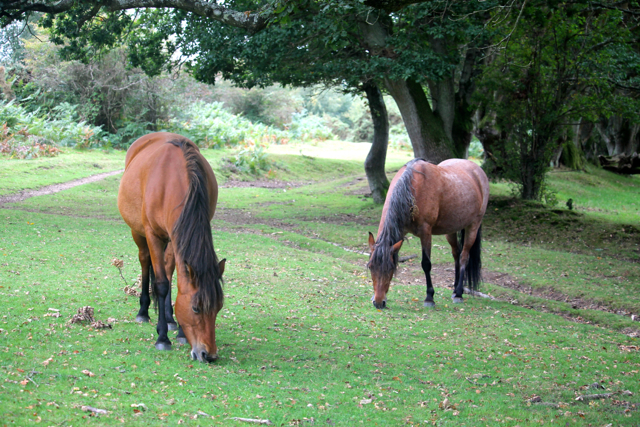 Living ‘wild’ means that ponies cannot be managed in the same way as domesticated horses and ponies, but they are managed nonetheless and do not need supplementary feeding. This entry was posted in New Forest, New Forest pony and tagged apples, barter, bylaw, colic, common, commonable, exchange, feeding, foal, food, fruit, garden, glut, mare, Mother Nature, New forest, pony, produce, swop, vegetable, Verderers, wild. Bookmark the permalink.